One of the benefits of wearable devices is that they gives you a non-invasive look at what's going on in your body. Or at least that's the idea. There are limits to what sensors can do, however, and eventually you may need to head to the doctor to get a blood test or sit in a big, expensive machine that can see inside your body. But what if there was a better way? 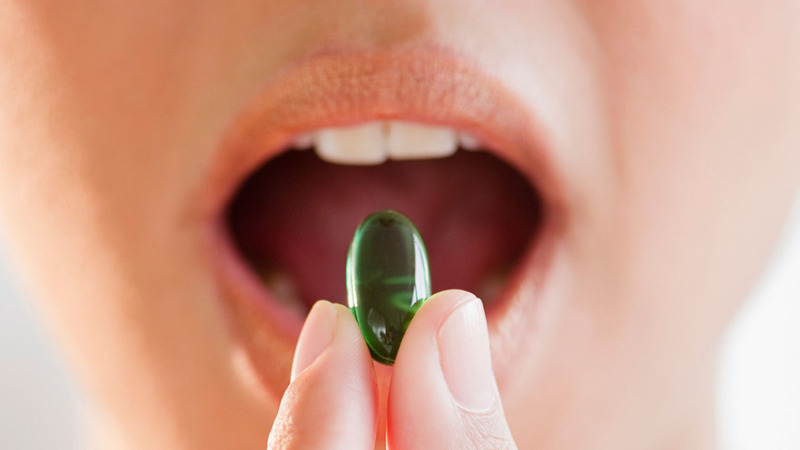 What if you could put sensors inside your body by simply swallowing a pill? Imagine the possibilities of sensors inside you keeping track on all your vitals, letting you know when something is wrong. That kind of technology isn't close, but ingestible smart pills have slowly been developing over the past couple of years. So where are we, and how far away are we from the future? No, ingestibles aren't smart foods that increase your protein or Vitamin B or anything like that. They're little pills that are packed with sensors that can connect to your computer or other device via connection technologies. You of course have to literally ingest them, as you would with your allergy medication or some aspirin. Ingestibles are actually one of the three health-based communication devices pegged by the FCC, with the other two being wearables and embeddables, the last of which is a very different story. Most of the ingestibles you'll see today look like regular old pills, and that's for a good reason: they're easy to swallow. While it's possible that one day nanotechnology means our food could be filled with tiny little sensors that tell us everything we need to know, for now all we have are sensor-laden smart pills. There are a couple of different ideas floating around ingestibles and smart pills. The first one is the most obvious, and that's about creating a system to make sure you actually take the medicine your doctor prescribed for you. In fact, the first ingestible smart pill cleared by the FDA does just that. It's called the Abilify MyCite, and once it's ingested it sends a signal to a wearable smart patch worn on the rib cage. The patch sends the information about the ingestion to your smartphone, and your doctors can take a look at information to make sure you've actually taken medication. This is especially great for treatments for things like schizophrenia or depression, illnesses that can make it difficult for people to take their medication. However, the MyCite can also be expanded for other illnesses like bipolar disorder. Other uses can be simpler, like the BodyCap e-Celcius' ability to track your internal temperature. This is useful for athletes who want to use their internal temperature to optimize recovery time so they can better craft their routines. The pill simply takes a measurement of your internal temperature and beams it out to a device outside of your body. There are other, more exciting uses for smart pills, but they're further away. They include pills that can measure your body's reaction to medication, so that doctors can better gauge your dosage. Similarly, there could a smart pill that simply tracks how your body reacts to medication so that doctors can figure out if something might be more effective for you. A step further and you could use smart pills to detect conditions before they happen, like a smart pill that can detect cancer. This is essentially taking the idea of the blood test, but conducting it with a pill inside your system rather than going to a lab, getting blood drawn, and then anxiously waiting for days to weeks until you get an answer. And then there's the ingestible smart camera. It's the same idea as a sensor-packed smart pill, but instead of measuring your internal metrics, it would be packed with a camera that can collect and share images and video from your insides. This is the dream for anyone studying internal medicine, and it could potentially replace procedures like colonoscopies. Right now there are two big names in the ingestible sensor game. The first one is BodyCap, a French company founded in 2011. It actually have two versions of its e-Celcius smart pill, one for the medical field and one for athletic endeavors. BodyCap's technology has been trialled with French football team FC Nantes and French riders in the 2015 Road World Championship. In March, BodyCap received won a European CE Mark, which means that the device has passed the health, safety and environmental protection standards of the European Economic Area. As for the makers of the FDA-approved Abilify MyCite, that's a little more complicated. That's because the pill is a joint creation of two companies. The first one is Otsuka Pharmaceutical, a Japanese company that provided the aripipazole, which is used to treat schizophrenia and bipolar disorder. Proteus Digital Health is the company who works on miniaturizing the sensors of the smart pill, combining them with actual drugs to deliver something a little smarter. Proteus refers to its smart pill technology as Proteus Discover, as the sensors go beyond the actual pill and into external devices that help activate and read what's going in the pill. Those are just the companies that are actually delivering, too. Let's not forget that Google has said it's working on a smart pill that could release nanoparticles into your bloodstream to help detect cancer. And then there's Jawbone (now Jawbone Health Hub) CEO Hosain Rahman, who said the company was working on an ingestible fitness tracker back in 2015. And of course, the geniuses at MIT are also working on ingestible pills. This is a slightly more advanced version of BodyCap's smart pill, in that while it can detect internal temperature, it can also check in on respiratory rate and heart rate from inside the body. That's where we are now, but what's stopping us from getting to the future? The big issue, as it always is with technology, is miniaturization. Companies not only have to develop these sensors, they have to make sure they're small enough for people to swallow. Isabelle Lauret, marketing and business director at BodyCap, explained to Wareable some of the hardships of building something like an ingestible smart pill last year. "The most difficult part of making it a reality was the industrialization of the device," she explained. "We had to work on the size, get the anatomy of the pill right and get the right level of information because you have to send the signal outside of the body." Connection technology is the other impediment, because companies are not allowed to use Bluetooth inside the body, which means they have to find other ways to broadcast signals to your smartphone or medical device. On top of that, there needs to be enough testing to satisfy organizations like the FDA. The first Abilify MyCite application was denied because there wasn't enough testing. Ingestible smart pills sound like some big futuristic dream that's decades away, but they're already here, and the best is just around the corner.